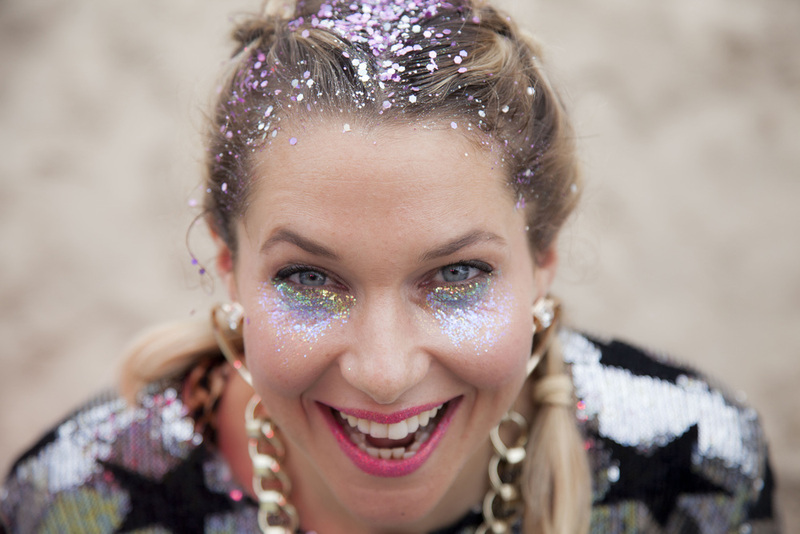 I recently teamed up with the very talented and lovely makeup artist Tahira on a festival themed shoot and she created the most amazing glitter face and hair makeup. 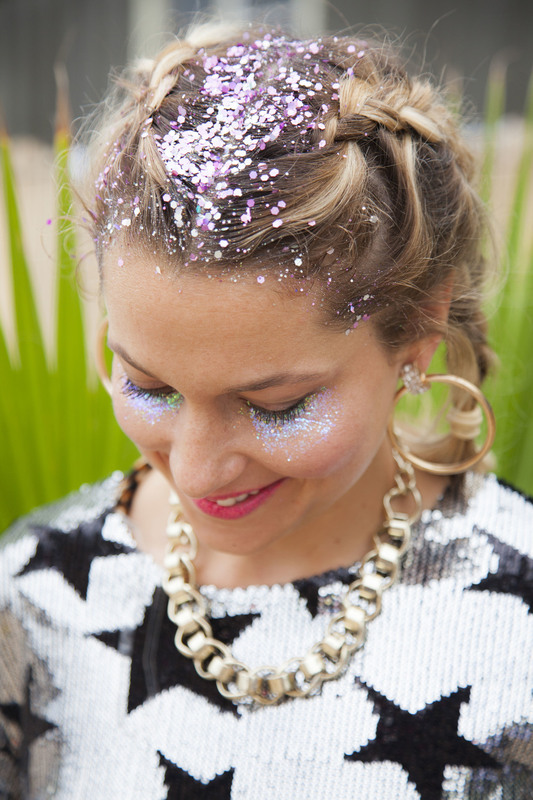 I love glitter and was very reluctant to take it off at the end of the day. 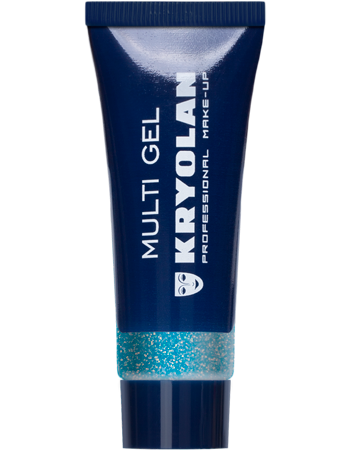 I first used Kryolan Fine Glitter Gel in Pearl White under her eyes, patting it in a large semicircle to the tops of the cheekbones. Then I applied with my finger, Kryolan Medium Glitter in Pearl Blue mostly all over the gel, leaving a little "Edge" of just gel under the lashline and at the top of the cheeks. Finally, with my little finger, I applied Kryolan Coarse Glitter in Pastel Blue, right along the lower lash line. I used Glitter Lips in Sparkling Rose on Zoe's Lips because she often uses a bright. and lets face it , More is More and More is FABULOUS! For the purposes of the photoshoot , I just used the fine glitter and applicator with some Dr Lipp Balm to Zoe's Lips, because we didn't need it to last all day. However, I have tried the glitter lips myself (see my Insatgram) and it really does dry and make a long last glitter lip. For Her Hair, We just received some of the new Stardust Festival Glitter which is a kit similar to the Lip kit, but has a sparkling gel as an adhesive, and a larger brush for application. After applying the gel to the Center Parting and the Hairline, I used the brush and my fingers to sprinkle the glitter. It is quite chunky so I would probably use the end of a spoon or a makeup spatula next time. Glitter Removal Tip: Glitter Gels/adhesives tend to make glitter removal much easier. It seems to bond and allow the glitter to be removed more easily with wipes. For lingering strays, get some Scotch Tape (Sello Tape in this country) and just pat pieces over your fave to get the last bits off. I found the Glitter lips easier to remove by rubbing a bit of oil onto the lips first.